Condition: Very Good+. Lower wrap and last few pages gently creased at the top corner otherwise a very well presented copy. Illustrated with B&W photographs. 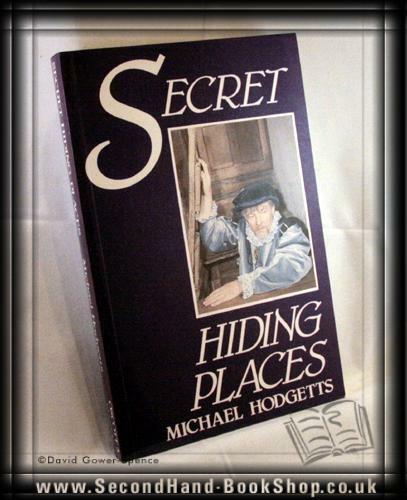 Secret hiding-places have a recognised niche in the mythology of the English country house. This solidly documented work of research traces both their history and their geography, incorporating much recent investigation of architectural and recusant history and throwing a vivid light on Tudor and Stuart politics and religion. It traces the geographical phenomenon of hide-clusters - network of priest-holes in houses linked by the kinship or friendship of their owners. It describes the amazing skill of Nicholas Owen, an Oxford carpenter who laboured for seventeen years to build hides for fugitive priests, and who died under torture, faithful to their secrets. Size: 8¾" x 5¾". 267 pages.